Making your own online home store sounds like a great idea. You’re not among the big online retailers. You don’t have the budget to cover the creation of an online store by an agency. X-Cart is a perfect choice for building successful eCommerce stores, so with us, you can just build your best online store yourself using our intuitive drag and drop interface. But hey, don’t you have to be a designer to do that? There are hundreds of e-Commerce platforms to consider. No designer skills needed. You may go with a cloud-based shopping cart like Shopify or Ecwid. They are easy to set up but not very customizable, i.e. you can’t add new features or customize design templates on the go. Or you may choose an on-premise solution like X-Cart or Magento. They provide full control over the store itself, its design, functionality, etc. They are also more scalable. 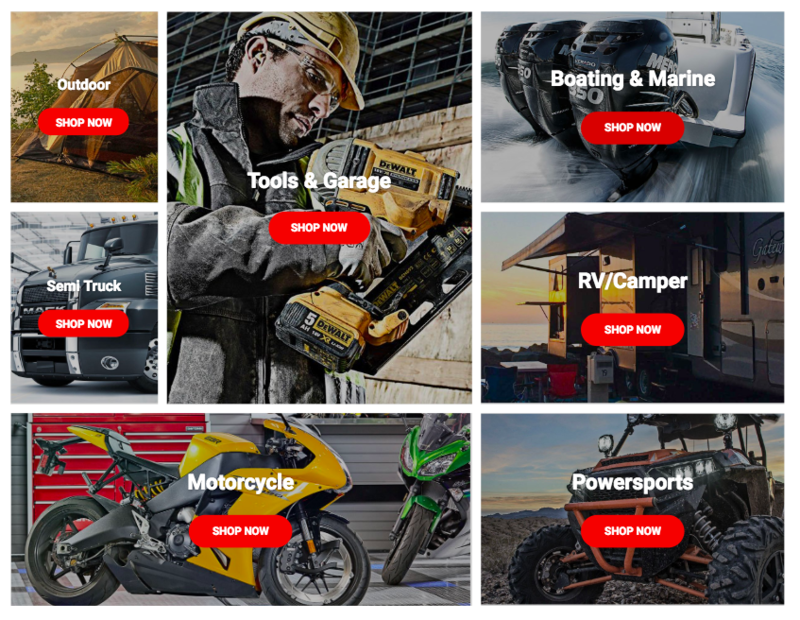 If you can’t get what makes a good e-Commerce website, take a look at these 20 successful eCommerce stores powered by X-Cart. Learn from them and start your own story. When it comes to finding what to sell online, Pearls Only have made a wise choice. This website sells men’s and women’s pearl jewelry. 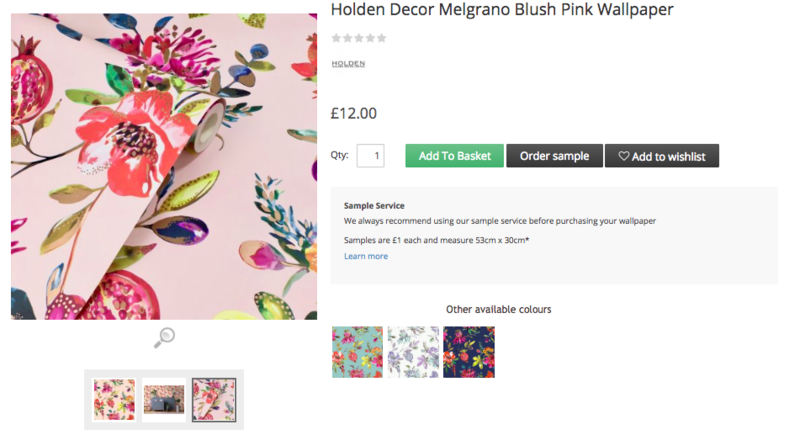 Here’s what you can learn from their success story and implement in your own online shop. The very first thing Pearls Only shows you when you open their store is a small pop-up form. Most people ignore it, but it contains something important for customers. The website locates them automatically and changes the currency to the local one. It’s a small thing, but an important one for your customers. What can be so difficult about pearl jewelry? It’s not obvious, but there are a lot of questions people are interested in. How to take care of your piece? What price is too high? How can you choose pearls for a gift? This is just for starters. 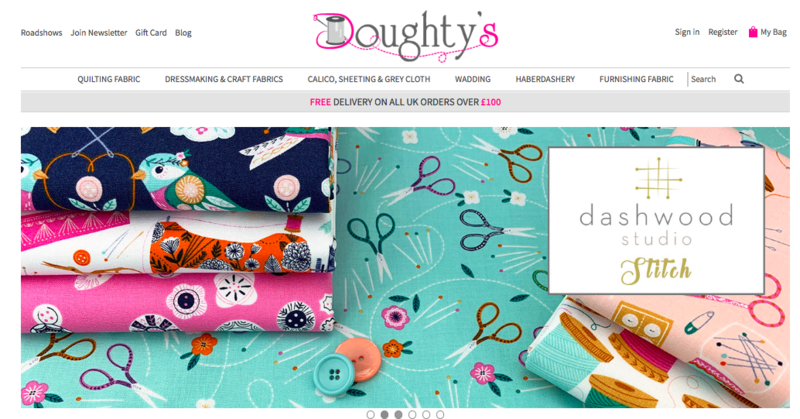 At Doughty’s you can find affordable fabrics of any kind. 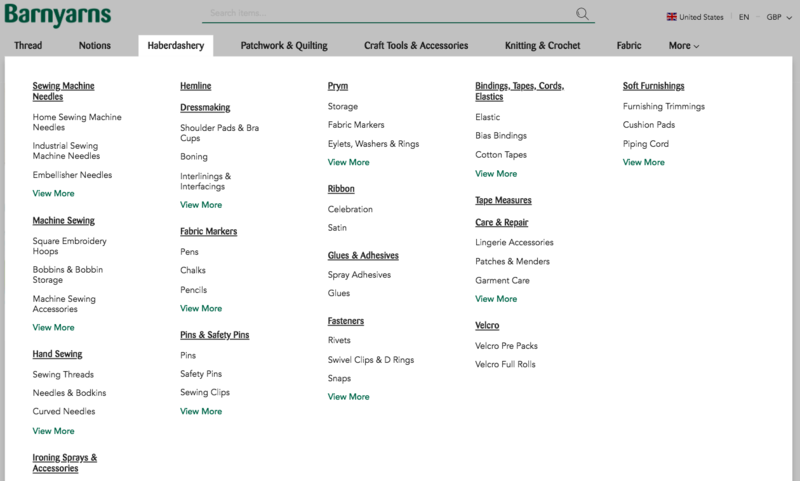 For now their main warehouse is the largest stockist of quilting fabric in the UK, as they say on their website. 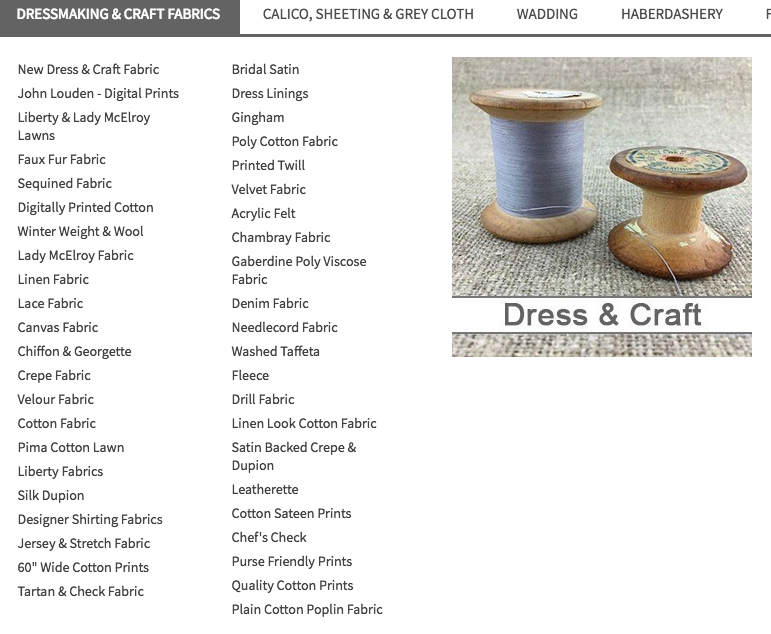 Look: any fabric you could think about is listed on their website. Product search is available, too. That’s awesome. If you know a person likes crafts just give them a gift card to the shop. This way you will show that you care about their hobby and give the opportunity to choose products. This blog has search, categories, and an archive. You can find what you need on a certain topic or you can just read everything to be well informed. And, if you’re Doughty’s fan you can also subscribe to a newsletter. They’ve got 12K+ Facebook followers. And they share all the information and tips there, and what is more they communicate with their customers. An awesome example of building communication with clients! 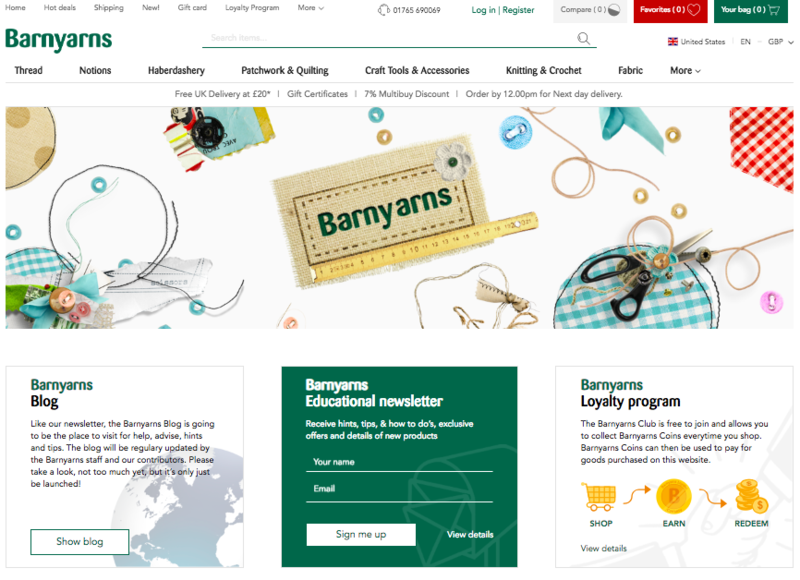 Barnyarns is a successful e-Commerce business that specializes in quilting and embroidery products, needles and accessories. They’ve been on the market for 15 years already and they have something to share. At Barnyarns they share all the necessary information about arts and crafts, share tips & tricks they know with their users. The same thing with their educational newsletter. In other words, it’s the way to show that they do care about their clients and want to be as helpful as possible. They have their own customer reward system. They give you Barnyarns coins that you can use to pay when purchasing on the website. There’re +1.5K Instagram followers. They share information about exhibitions and even run contents. And they have +3.7K Facebook community. Pitimana offers the best online shopping for women in France. It is run by a mother of three. The shop sells handmade items and jewelry. The owner’s experience will show you how to create an online store that returns a profit. 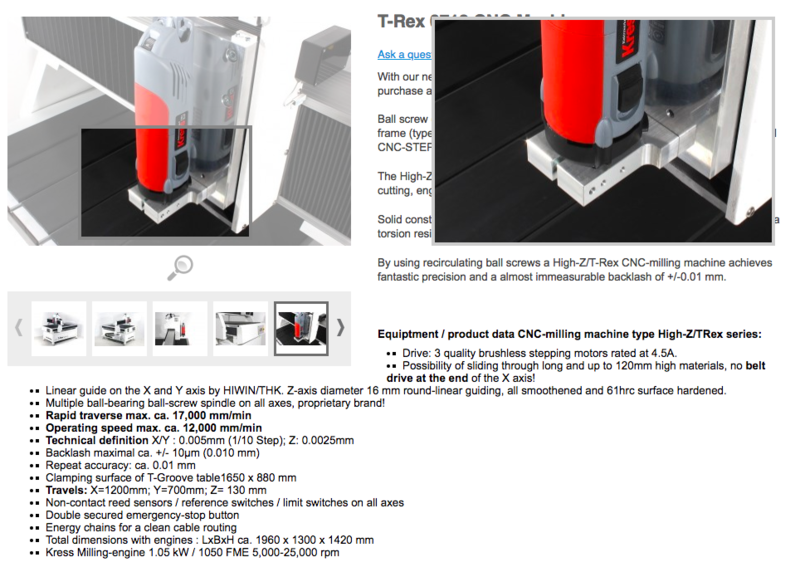 Take a look at the picture Pitimana posts in one of its product cards. It’s not a stock photo. It’s not something the owner’s nephew took with his camera. It is a great example of a photo taken in the brand style. You cannot see this on the screenshot, but most traffic comes to Pitimana through Pinterest. This was easy to predict from the quality of the photos they take for the store. Standout is the men’s fashion store. It has been featured in Maxim, Studd, GQ. Now it is a selection of over 50 designer labels, including Levi’s, Tommy Hilfiger, Superdry, Calvin Klein, Vans, Converse, and many more. They do not only sell apparel but also teach you how to mix and match clothes to look stylish. Their SEO is also great. Check the FAQ page: they’re foreseeing any question you might have and they’ve already written an answer. This is the customer care we like. They have Facebook, Twitter, and Instagram and they’re good at all of them. They share information about new arrivals and discounts and showcase their clothing. Looks as cool as Forever 21 store. Many people argue that the best online business is the one that sells clothes. If they are right, Oak Hall knew that well over a century ago. 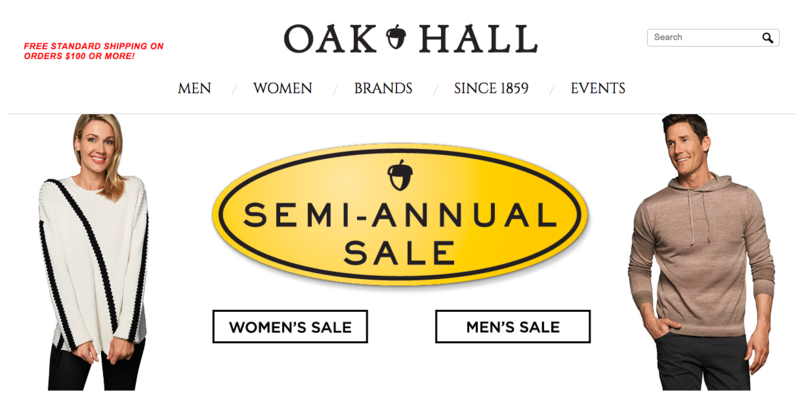 The first retail store under the name of Oak Hall was opened way back in 1859. It has been through 159 years of history, and now it’s online. If your business has a path worth telling, tell it. Don’t be boring with it though. Make it simple to follow and include the things your clients may want to know. Stories sell as well as price tags and flashy ads, if not better. If you don’t have a story, create one. Show how you are doing a renovation in your restaurant. Share pics of you and your employers playing ping pong on a Friday evening. Tell your clients about your milestones. Don’t make it a personal blog, however. Tell a story that would make your clients like your brand even more. Take a look at the screenshot. Judging by the design, Ann ‘N’ Eve is not among the best online clothing stores. It doesn’t stop it from being successful, though. X-Cart shopping cart did a lot for the owner of this clothing store. That’s right. This red button is responsible for dozens of sales. 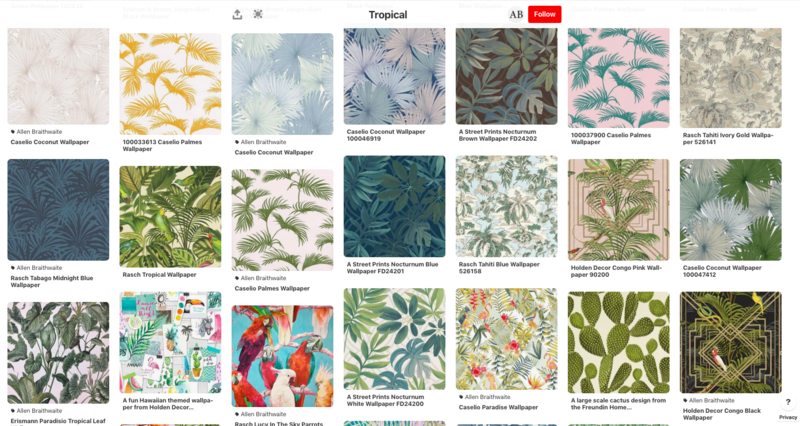 If you want to open an online beauty store or rank among the best online decor stores, you need that Pinterest button. Arguably one of the most important details doesn’t stand out. A red arrow points at that detail. This business is one of those successful eCommerce stores that is not powered by Shopify. It has existed for 40 years already and it grows from year to year. Allen Braithwaite online store a family business where the spouses made an awesome team. At least check their landing page. Even if you’re not planning any renovation. It’s so beautiful, isn’t it? Check their product pages. I think you’ll agree that quality images matter in online business as it’s the only way to show your products to potential customers from the very beginning. And this is what you should learn from Allen and Dorothy Braithwaite – they have made gorgeous product photos. For some people (and I can understand them) it’s hard to choose wallpaper online. And at Braithwaite, they are very aware of that, too. That’s why they can send you a sample to feel the texture, to imagine it in your space. This way it’s much easier to sell your products, huh? These guys know exactly how to use Pinterest. I’ve already saved some ideas from their profile. Their color palette is just perfect. Want to start an online store that grows? Take a look at these guys. They sell trim works. Not the easiest of things to market, right? Well, with X-Cart they’ve seen a 253% increase in traffic. Check out these highlights to learn how. Why this online store is successful? More and more people use the internet from their smartphones. This means if you want to sell anything online, you have to be mobile first. Elite Trimworks made their website adaptive and gained 33,000 additional website views. All these visitors were people using mobile phones. No great website is the result of one day’s work. The best online shopping sites become the best after a long period of changes. You make up a plan and then adjust as you progress. The latest version of X-Cart e-Commerce platform allows you to adjust and change things on the go, all by yourself. One of the best online furniture stores powered by X-Cart, Bedstar keeps the plank high. It doesn’t have an outstanding design like the giants of the industry have. But you don’t need it to provide a great shopping experience. Using our best advice and popular templates should be enough. Yup, coupons. Simple as that. Coupons have been the go-to advertising method for years. It still is. What coupons do is provide your customers with a sense of exclusivity. Only those who have the code get the discount. Talking about coupons, you can use some as well. What you won’t see on any website is all the research that stands behind it. While X-Cart is one of the best online store builders, you can’t start an e-Commerce store without understanding your customers. How do you do that? You do research. Apart from using Google Analytics addon, you should get feedback from your customers via questionnaires. E.g. 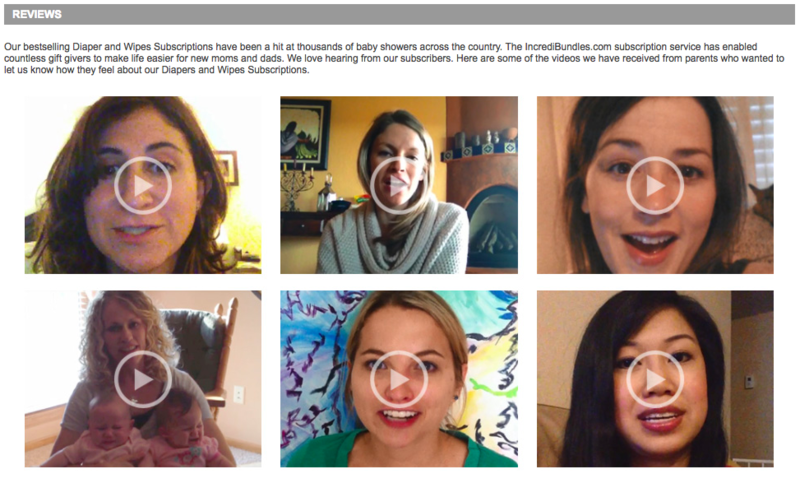 get a 10% off Survio on CouponBuffer, and start understanding what your audience really wants. They offer a category of beds sorted by their immediate availability. If a customer needs a bed as soon as possible, they can order one from the list of next day delivery beds. 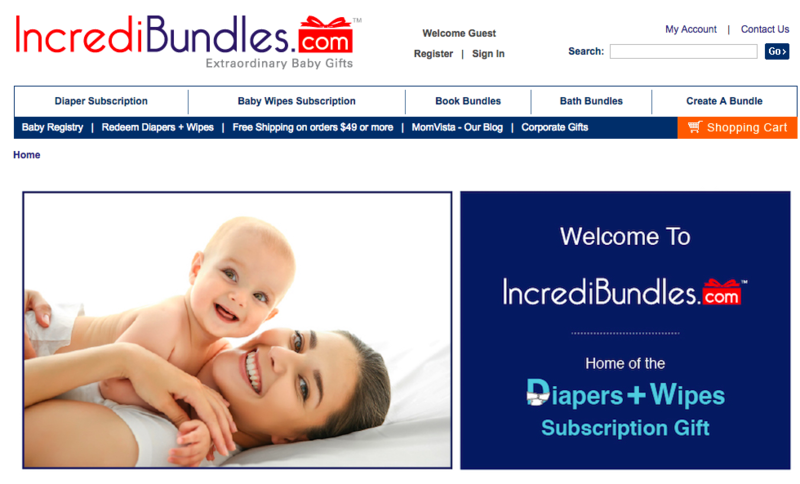 At IncrediBundles.com, they decided that the traditional baby gift-basket needed a drastic revision in order to truly meet the needs of new parents and babies. IncrediBundles.com team designed adorably chic reusable storage containers and filled them with the very best award-winning toys, books, and products for babies – selected by experts and approved by parents. 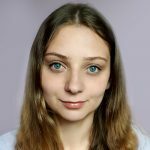 IncrediBundles.com’s clients share their experience. User generated content is what a lot of people usually look for before purchasing. And here it is. I don’t have kids but I can imagine how great it is not to think about buying stuff all the time. Just order once – and no headache. An awesome gift – professionals have thought through what is better and collected the bundles for you. You just pick the one you like. And, of course, you can create a bundle yourself. Their Instagram account is an awesome example of how you can use UGC to promote your business. BTW, it’s pretty active and good looking. 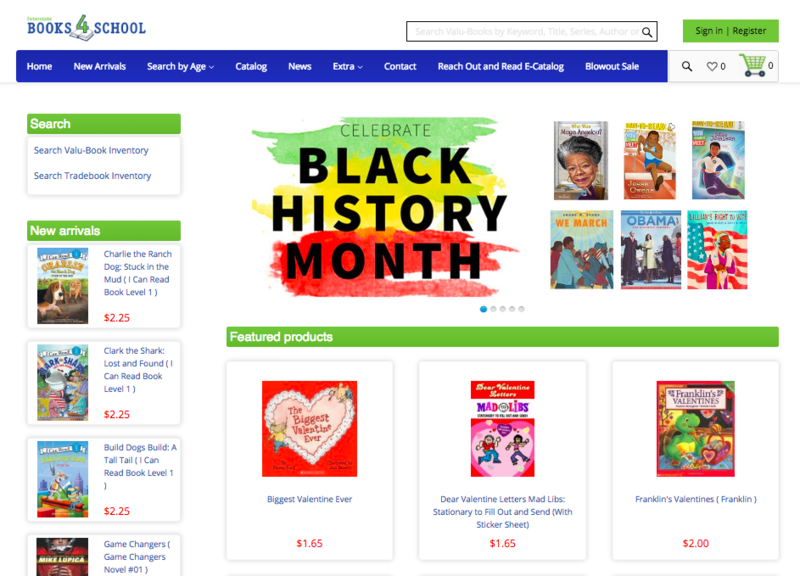 At Books4School they are selling Valu-Books and Tradebooks for infant through 12th grade. They have access to over 10,000,000 book titles and the prices are reasonable. It’s great when everyone can afford books. More than 10,000,000 books available to order. This is huge and rare. You can choose what you need. 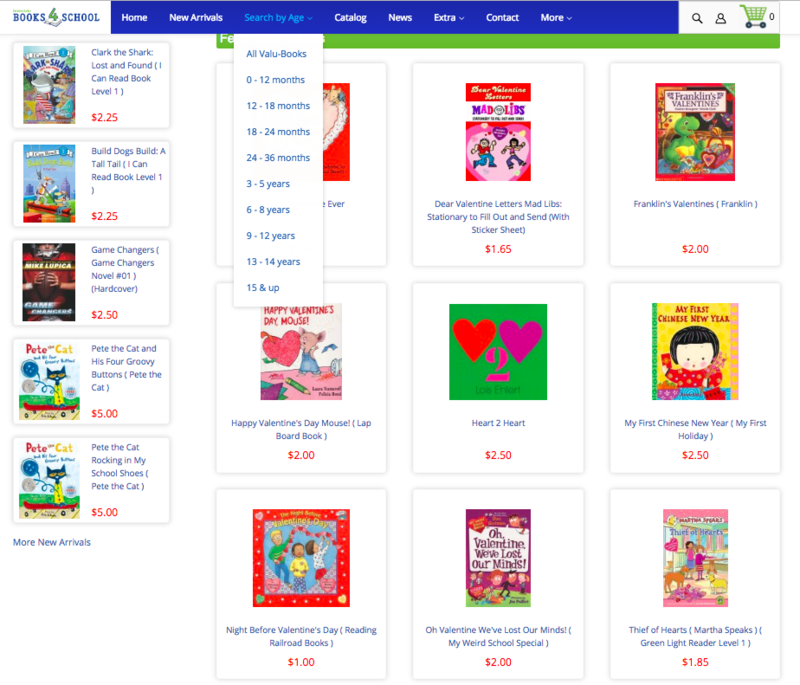 Filters let you pick books according to your children interests and age. This online garden store shows some classic examples of good marketing done by a small business. On top of providing high-quality products that people recommend to their friends, it does two things that you can learn from to create an online store. You know your products better than your customers. Compile a brief guide that would educate the readers about what you’re selling. More knowledge brings more sales. Take a look at the Holiday Savings screen right below the gift guide. It is a pure classic. A small phrase above the discount itself makes a huge difference. It mentions the fact the discount is going to expire soon. Chillblast is one of the best online stores and UK’s most awarded system builder. Chillblast is an Intel Platinum Member and a Microsoft Silver OEM Partner putting us at the forefront of UK computer manufacturers. They are not just doing their job. They’ve achieved their goal and became a top company in their sphere. I think it’s hard to argue that this online store looks gorgeous. The design is simple and stylish at the same time. These guys made an awesome job building their community. For now, they’ve got 350K monthly visitors, 85K+ Facebook community (Facebook messenger works, too), 56K+ Twitter followers and 6.3K+ Instagram followers. The other way to be in touch with the Chillblast community outside of social media is the live help form on the website. 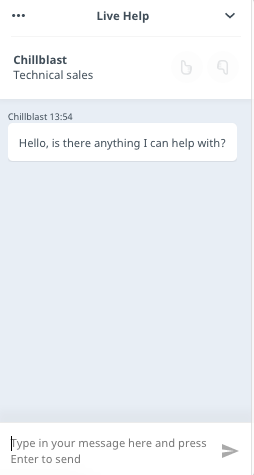 You just describe your problem or ask a question in the live chat and the Chillblast team helps you. 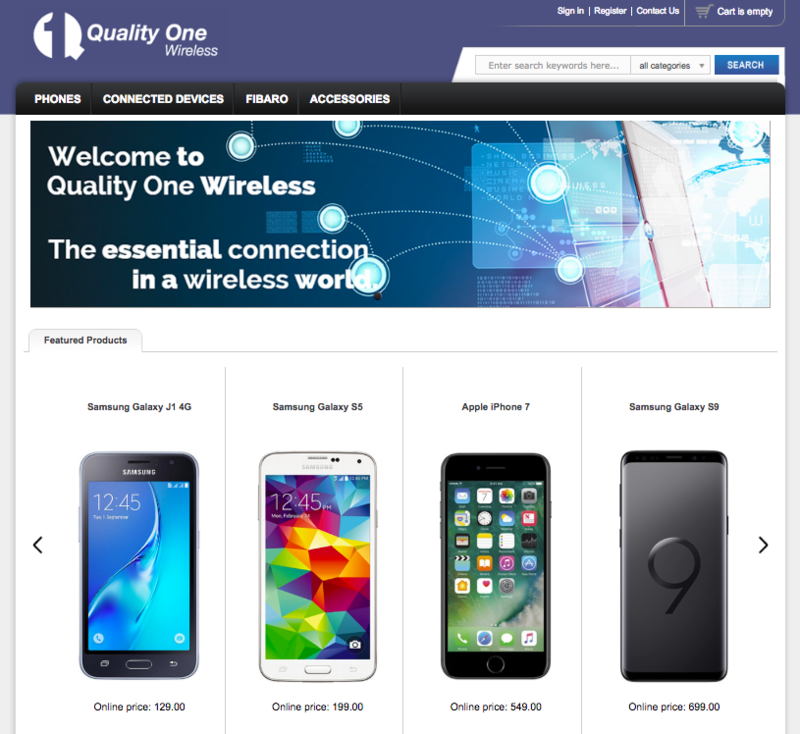 Quality One Wireless, a global leader in wireless distribution, provides complete solutions to mobile device manufacturers, wireless operators, and retailers. They know what is popular on the market and sell these products. Setting reasonable prices helps, too. They take responsibility, and that’s why people trust them. Check their warranty and RMA policy to make sure it’s true. PalmFlex is another store not powered by Shopify, it offers a wide selection of work gloves and safety wear for performance and protection. They offer equipment for everyone: gardeners, doctors, builders, welders. PalmFlex has been on the market for 30 years already so they know all the quality brands and cooperates with them. The navigation is perfect, everything is clear, design is simple. Product search is available, too. They have featured categories, bestsellers, new arrivals, popular brands, and industries. 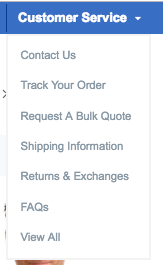 I’d say they did their best here and now customers can find products fast without wasting their time. What else I like about this website is that they show that at PalmFlex they understand how valuable every customer is. Even if you know nothing about gloves (it’s me! ), reading product info will help you to pick right what you need. They created an amazing “Product info” page that contains information on glove sizing, workwear sizing, glove terminology, glove anatomy, and of course, a sitemap. Everything is organized perfectly and the customer service is no exception. Look at this! Fumoto Valve continues offering an easy tool that saves valuable time and resources for routine oil changes. By simply replacing the stock oil drain plug with the Fumoto Valve, vehicle owners can make one of the messiest tasks, into one of the cleanest. At Fumoto they sell high-quality items. They cooperate with top motor vehicle manufacturers: Toyota, Nissan, Mazda, Mitsubishi, Subaru, and Isuzu. You can check the reviews right on their website – this way you’ll learn other people’s experience to decide if you want to buy from Fumoto. CARiD.com is one of the best online stores powered by X-Cart. 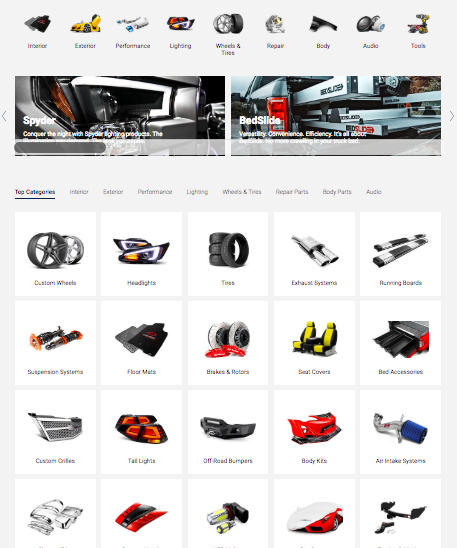 It’s an e-Commerce retailer of all things automotive, from basic repair and maintenance parts to accessories such as floor mats and window visors, to performance and racing equipment. This online store is extensive in terms of product types and unique items. I adore CARiD.com website design. Just look at it: it’s stylish, it’s easy to navigate, it’s all nice and clear. Yep, it’s no surprise. You have to sell quality products to be successful. And guys at CARiD.com know thisquite well. They collect their experts’ experience to help customers. CARiD.com team even makes video reviews. They also provide coupon codes and military discounts. Check if you can use one – why not? 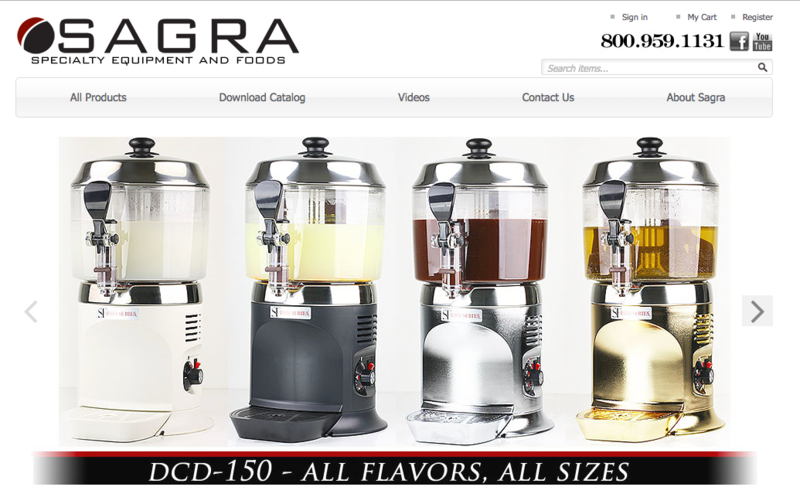 Sagra is a manufacturer of specialty food equipment who focuses on unique and fun items for food establishments. They have been in business since 2003 and have thousands of satisfied customers. Sagra is the largest manufacturer of chocolate fountains in North America and has a broad range of specialty equipment designed for the commercial user. 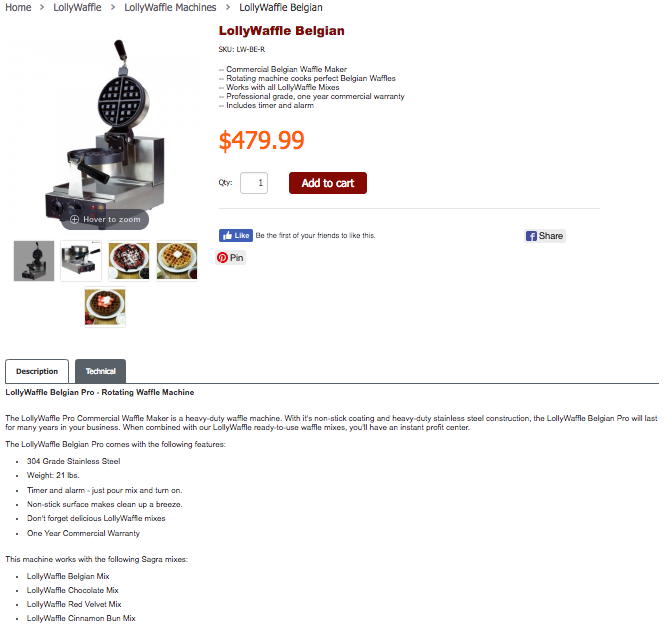 For example, look at this waffle maker: the photo is clear, you can see the result – the waffles, and they have a detailed description. You won’t have any questions as all the information is presented right on the website. If you’re not sure how to use equipment or you just want to see how it works – Sagra team has made a set of video examples. This way they show that they do care about you. 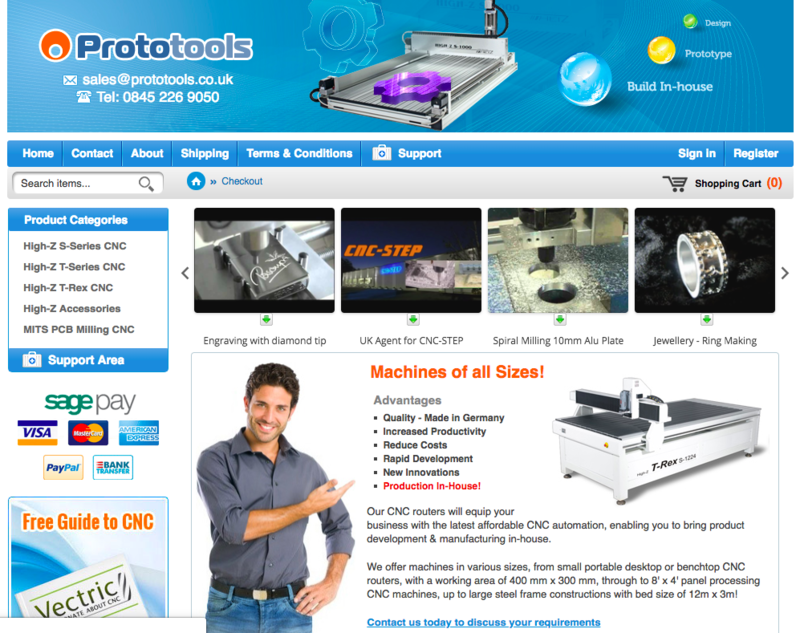 Prototools is the supplier of CNC machines. They have been delivering CNC solutions to individuals and companies of all sizes for over 10 years now. 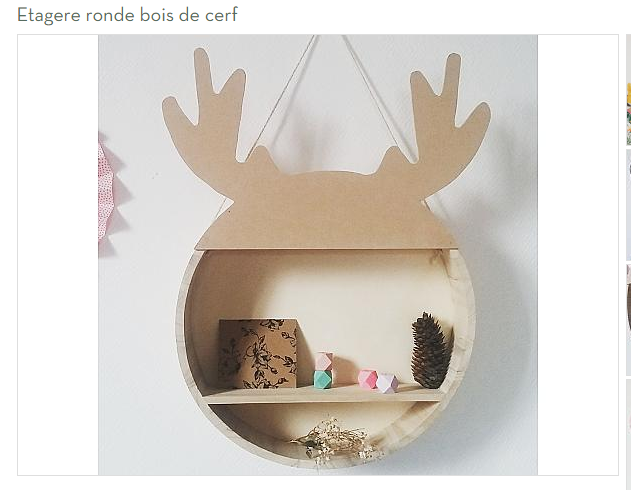 A very detailed product description, high-quality photos, zoom. All of it makes shopping comfortable. You don’t have to wait. There’re the videos that will help you set everything up yourself. I like when companies do that. It is never easy to create an online store from scratch. While a ready e-Commerce platform like X-Cart can provide plenty of tools, you still need to know how to use them. A couple of small things can be the difference between hundreds and thousands of customers. Starting an online store is way easier with an all-in-one solution like X-Cart. 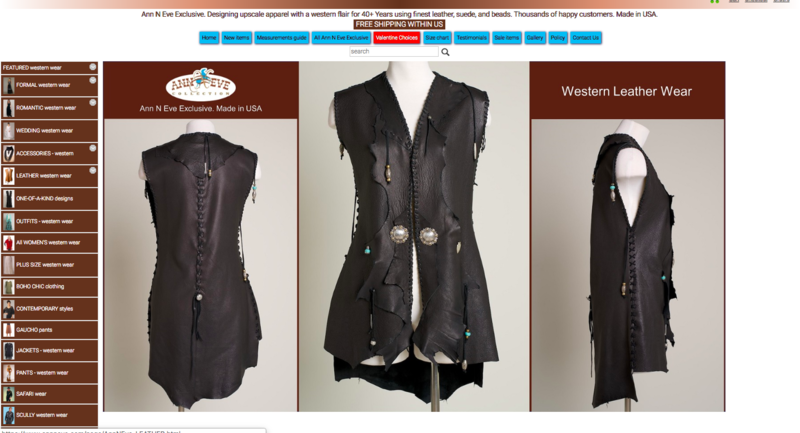 Consider the tips from this article before you create an online store. Learn from the other success stories to start your own. With X-Cart guides, creating a website is super easy. 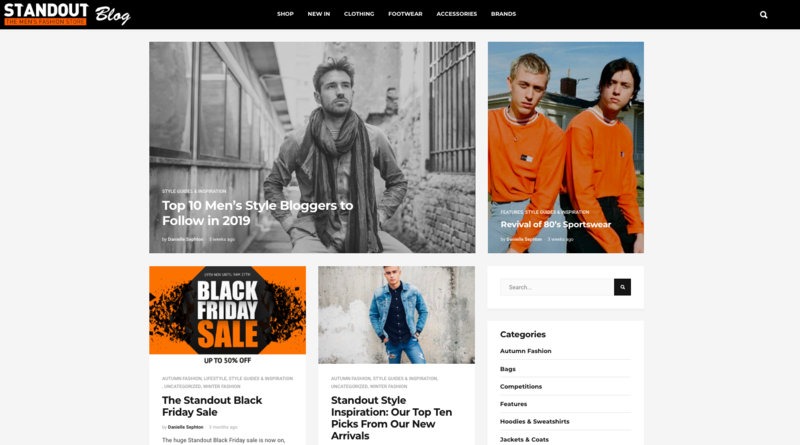 Draw design inspiration from other websites, follow the best content strategies and borrow a few ideas from these successful shopping websites. This will give you enough knowledge to leave the competition behind.